America Leads the World in Cryptocurrency Crime: What is the McAfee Institute Doing to Help? Chesterfield, MO, August 20, 2018 — Bitcoin has arguably confounded investors and speculators throughout the 2010s thus far because there’s no consensus on how it has managed to retain value. As of last year, researchers from the University of Cambridge published a study that found anywhere from 2.9 to 5.8 million different cryptocurrency users worldwide, most of them in Bitcoin, but some pundits call it a crypto bubble, predicting it has to crash sometime like the dotcom bubble of the late ‘90s or the subsequent housing bubble of the mid-aughts. Now, though, new research published this month has produced data that shows the U.S. alone accounts for over half of the entire world’s cryptocurrency crime. Cryptocurrency is the new tool of choice for money launderers, tax evaders and contraband transactions. Russian cybersecurity firm Group-IB – ranked the seventh cyber threat intelligence vendor in the world by Gartner in 2015 – conducted the new study in which they illustrated the global distribution of cryptocurrency exchange user accounts, and 56.1 percent were found to be in the U.S. compared to France’s 2.6 percent, Germany’s 3.2 percent and Russia’s 2.6 percent. The only country even comparable to the U.S. in this regard is the Netherlands with 21.5 percent. American law enforcement, however, has been outpaced by this innovation as criminals flock to it because cryptocurrency crime is such a new phenomenon that there’s never been a such thing as a certified cryptocurrency crime investigator until now. Bloomberg more recently wrote that “cryptocurrencies have actually led to a massive cat and mouse game with law enforcement,” which he says has culminated in “the increasing recognition that law enforcement requires its own technological innovation in order to keep up.” Since Bloomberg published those words, however, a new cryptocurrency investigation training program has been established for investigators to become certified specifically for investigating cryptocurrency crime. The IRS is reportedly attempting to take a new approach to at least dealing with tax evasion via cryptocurrency, having subpoenaed Coinbase (major Bitcoin exchange) and since ramped up cryptocurrency investigations, but one of the biggest law enforcement needs across multiple sectors and departments is for cryptocurrency investigation training. From police detectives to assistant U.S. attorneys to fraud investigators in both private and public sectors, investigators are overwhelmed by cryptocurrency crime. The only prospective solution on the horizon is the technological innovation to which Bloomberg referred as the new mandate for U.S. law enforcement across the board, which is why the new Certified Cryptocurrency Forensic Investigator (CCFI) program meets an increasingly dire need. McAfee Institute, one of the world’s leading, international purveyors of professional certification in investigation and intelligence gathering, has stepped to the plate by offering this new certification program just this year – the first significant step in public or private sectors toward the optimal solution Bloomberg mentioned. 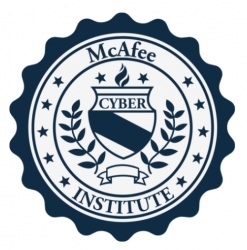 McAfee Institute’s governing board approves the certification curriculum of their specialized investigative programs, and the board is staffed by 32 practitioners and subject matter experts in various fields of investigation – police chiefs, military threat intelligence analysts, CIA operatives, district attorney investigators and private sector investigators from Microsoft, Northrop Grumman, eBay, Amazon and more. They’re now training and certifying eligible professionals in the intelligence and investigative sectors as CCFIs. Students can complete their coursework via a self-study, online program with video-based tutorials, live instruction and live investigation exercises for hands-on experience. What Bloomberg was advocating in December 2017 in his role as a Forbes contributor, therefore, is now happening. “If the criminals choose to leverage innovative technology to facilitate their activities, then law enforcement must do the same.” Not only is law enforcement innovating but it’s also presenting a new means of career advancement for all kinds of investigators all over the country, which means workers in investigation fields, including IRS professionals even, are incentivized to join what amounts to a race to the front lines. Cryptocurrency crime, for that matter, will only continue to proliferate until law enforcement catches up, so it’s beyond reasonable to anticipate that cryptocurrency forensic investigation is the next frontier in the investigation space.